If you play video games, you’ve probably heard of Fortnite. The free-to-play arena battler has been an absolute sensation since its launch a year ago, and by June of this year it had already grossed a billion dollars. Over the summer, Fortnite set revenue records that may not be easily surpassed, as its $318 million May blew past the best month of any free-to-play game ever released by more than $100 million. It’s earned at least $1.2 billion in revenue since its console launch last year, ranking it in truly rarefied air for any game that doesn’t charge a monthly fee for access or cost $60 to download and install. But nothing can continue growing forever. 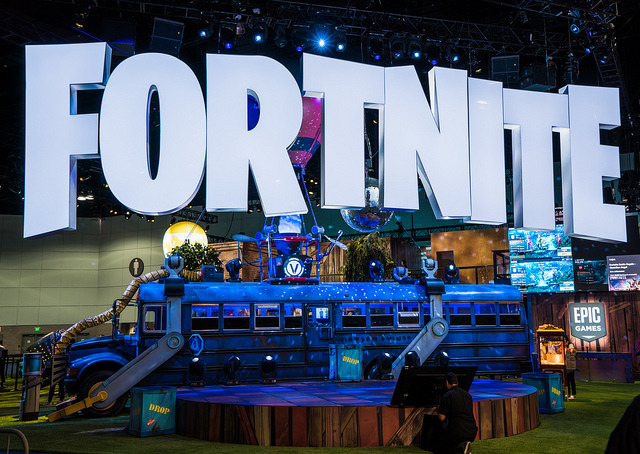 Recent reports from gaming industry analytics firm SuperData and others indicate that Fortnite’s fantastic fortunes have finally slowed. Its earnings grew by only two percent from June to July this year, which is practically flat for a franchise that was expected to top $2 billion in revenue for the whole year. In hindsight, this outcome should have been expected. Fortnite developer Epic Games announced a player base of 125 million people in June, which would make an independent “nation of Fortnite” one of the most populous in the world. This scale is rivaled perhaps only by League of Legends, which has been a dominant title for nearly ten years and which is thought to have boasted a player base of more than 100 million people at its peak of popularity — a peak that was reached, incidentally, just before Fortnite’s release. Once you’ve reached the top, there’s only one direction left to go. This isn’t to say that Fortnite’s demise is imminent. Indeed, the decade-long dominance League of Legends has sustained shows that it may take a long time for Fortnite to fall. And Fortnite shows no signs of relinquishing its crown anytime soon. It’s still the top-grossing game on Apple’s App Store, and it was the top-grossing game on consoles as well for SuperData’s latest industry update, which covered the month of July. There is one critical development underway, however, that could give Fortnite further fuel to fly. Despite its massive popularity on other platforms, Fortnite has yet to launch across the entirety of Google’s Android mobile platform. As of early August, the game was only available on some higher-end Samsung devices and a few others. Epic’s decision to skip the Google Play store entirely also requires players to jump through a few extra hoops to install the game on their Android mobile devices, which may limit adoption to a more tech-savvy sort. Android is a tough platform for which to optimize a game that depends on lightning-fast reflexes and nearly superhuman situational awareness for success. There are many different variations on the core Android operating system, which work with a range of different chipsets and customized processes. Apple, by contrast, maintains a rock-solid grip on its platform, and every iPhone and iPad is built to Apple’s specifications and its software is under Apple’s firm control. Developing for consoles is even easier, since there are only three major consoles to support: Xbox, PlayStation, and Nintendo Switch. Despite the complexity of PCs, development for this platform generally needs to ensure compatibility with only two operating systems (Windows or Macintosh) and support reasonable gameplay quality under certain minimum hardware specs. If Epic can develop an enjoyable Fortnite experience for all major Android devices, they’ll dramatically expand the size of their potential player base, There were more than two billion Android devices in use last year, and that number’s likely larger in 2018. Epic has already tallied up more than 15 million Android installs despite supporting only a small range of devices and offering the game solely on an invite-only basis for Android players. If its success on iOS is any indication — Fortnite grossed $100 million in its first three months on the App Store — a wider Android release could easily propel the game past the $2 billion revenue estimate it earned earlier this year before its growth began to slow. Do you play Fortnite? What’s your preferred platform? How many players do you think will join the battle royale before Fortnite finally peaks? Let’s hear your thoughts in the comments.